The Best Business Card you can Buy. Start with the best paper on the market. A 420gsm board manufactured using fully sustainable processes. Add high definition printing using our latest technology waterless press. 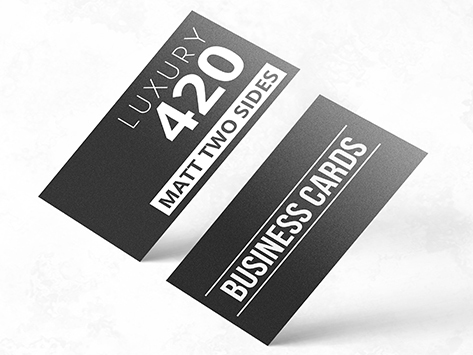 Finish with a silk matt celloglaze coating to make your card extremely durable and impressive. All we need now is your artwork. And that's the easiest part. Get an online quote now for free (at our Price Calculator on the left). Then either design your own card from scratch using our free templates, choosing one of the Design buttons below. Whichever method you choose, we are always available to help you get the best possible marketing tools for your business.